Well the results are in folks! It turns out that the Rockstar / Popstar / Superstar life isn’t the best idea if you’re into living for a long time. ..new study that tracked nearly 1,500 chart-topping musicians and found that their life expectancy after fame really was lower than that of the general population. North American solo musicians seem to have it especially bad. This wasn’t necessarily what you’d expect. A huge number of studies have shown that wealth is generally associated with greater longevity, possibly as a result of better health care, better diet, and lower stress. Not only are rock musicians dying faster than the general populace, but they’re completely negating the impact of any wealth that their fame brought to them. 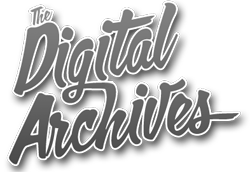 …subjects reached fame between the years of 1956 and 2006 and included everyone from Elvis Presley to Regina Spektor to the Arctic Monkeys. 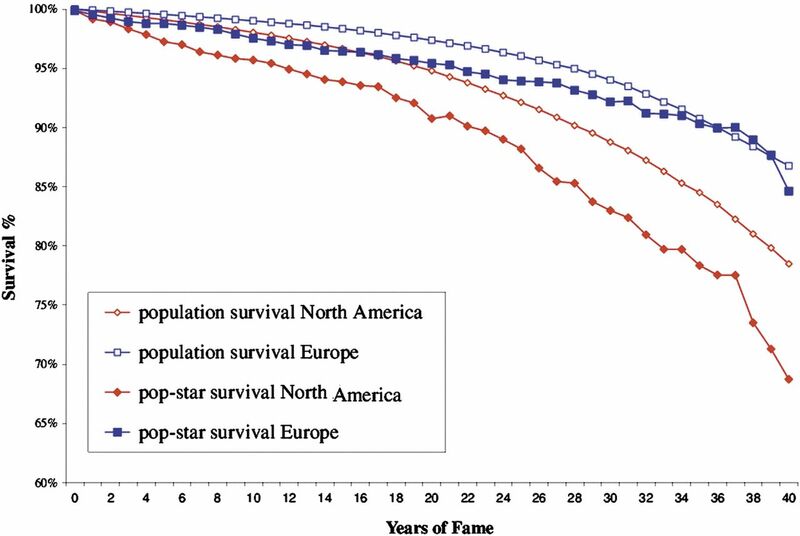 Only about two-thirds of North American stars were still alive 40 years after their first brush with fame, compared with about 80 percent of a matched population—……however, once they survived 20 years after hitting the big time, European rock stars started to do better, outliving the typical North American….On both continents, solo performers did worse than members of a band. So what’s killing the famous? … “drug or alcohol-related chronic disorder, overdose or accident, and other risk-related causes that may or may not have been related to substance use, i.e., suicide and violence.”….Of those without any obvious childhood issues, under a third died of substance abuse or other risky behavior. Adding a single adverse childhood influence raised that rate to 42 percent. Two or more adverse events, and the rate shot up to about 80 percent. …authors conclude that the hedonism we associate with rock stars is less a lifestyle choice and more an outcome of early life issues.